Looking for happiness and open to trying something new? Matt O’Grady life coaching can help. I understand that the road to happiness is different for all of us, and I’m eager to help you find your inner peace and reach your highest potential for personal growth. I have been working with coaching clients from all over the US and even some clients from Canada, the UK, India and Australia for the better part of a decade. My proven methods can show you how to live life with more joy, less stress, and how to live in the present moment while building success in all areas of your life. As an author, a personal life coaching professional, a public speaker, and a podcast host, I believe I have the experience that can help you in any area of your life. Sure, there are plenty of choices when it comes to getting connected with the right coach to help with finding happiness. Life coaching comes in many forms, but what makes my methods different are practical applications. I help my clients create a sense of inherent gratitude in their lives, so there is always a sense of feeling good every single day. Each person has a more unique story than the last and I love nothing more than understanding your story and helping you get wherever you want to go in life. These strategies and practical application of time tested techniques provide the nurturing environment needed to start the inner journey required to reach authentic long lasting happiness. First is a complimentary 15-20 minute micro coaching session. After that, we’ll move to a one-and-a-half hour phone session, where you’ll have your initial consultation. You’ll hear about the program, communicate the challenges you’re having in your everyday life, and talk about what you think may be holding you back. We will find some low hanging fruit opportunities to focus on right away so you start feeling better right from the first session. You’ll continue to engage in exercises as instructed after the initial phone consultation. These exercises are intended to keep your mind sharp and stay focused on your life goals, while managing your stress effectively, making small substantial positive steps everyday. I will be in touch with you via text, skype, email, etc. so I can check in with you and see how it’s going. Then I’ll connect with you for a follow-up session to discuss the progress in detail you’ve made as well as your general feedback about your experiences and breakthroughs with the exercises we assigned after the initial consultation. You will also receive a free version of “marketing in the new world,” an LOA business e-workbook, and a bonus mp3 download of The Power of Gratitude, all of which can help you stay more focused than ever before on your personal and professional present and future. I believe that everyone has their own path toward happiness and success. I dedicate myself to each client, serving as their ‘inspirational and accountability coach’ with every step along the way, through the ups and downs and all arounds! My proven methods challenge clients to say ‘Yes!’ to committing to what could be their best life and maximum potential. Your goals will become clearer and feel more attainable than ever and we will celebrate every win along the way! A goal is defined as “the object of a person’s ambition or effort; an aim or desired result.” While goals come in countless different forms, they all have the same underlying thought process behind them: drive. What drives you to achieve your goals? I’ll help you find your answer, make it clear, and stick to it. Once we uncover your greatest desires and your deepest potential, it’s possible to start achieving your goals and make new goals feel much more attainable than you ever thought possible. What is possible for your life? Let’s get to work on it today! It’s easy to set a goal and then put it off. When we are stressed and feeling down it’s easy to procrastinate. However, not when you have a coach there to support you along the way so you can overcome the resistance. I strive to be open and supportive with my clients, offering a safe and trusting environment that’s conducive to personal growth. With degrees in psychology and holistic health and additional training in meditation, emotional awareness and consciousness, I have the tools needed to help you succeed. I’ve also been through a huge number of painful battles and losses in my own life, including becoming a disabled veteran, losing people I was very close to, depression, major career changes, the closing of businesses, chronic health struggles and injuries, relationship problems, and more. As a whole, I’ve learned deep profound life lessons that I am inspired to pass on to you. I ofter coaching sessions over the phone, but coaching online via IM, text messages, leaving voicemails is also quite successful. I’ve worked with individuals of all ages and backgrounds, from CEOs to entrepreneurs, executive level VP’s, directors, managers, other coaches, parents, stay at home Moms, college students, thought-leaders, and more. While each and every one of my clients has a unique story to tell and path to follow, they all have one element in common: they strive for happiness, success in business, good health, fulfilling relationships, emotional upliftment, inspiration and overall life success. Interested in getting in touch with a life coach online? It’s easy. Fill out the form on the “Get in Touch” page of my website and myself or a team member will be in touch with you in just a few short business days. What are you waiting for? There’s nothing holding you back but yourself. If you’re looking for a sign, this very well could be it! It’s time to reach your personal and professional goals and find success in some unique, inspiring, and momentum building ways. You’ll be challenged with a new growth mindset, pushing you to think outside the box and let go of what is holding you back. You’ll also have specific homework and activities to participate in between sessions in order to keep your progress moving, your mind sharp and continue with positive momentum toward success. “Matt has changed my life, period. He coached me for less than a year and his patience and guidance in working with me and my fears, has led to a successful entrepreneurial venture that I am so grateful for! His coaching style is relaxed and kind but he also calls me out on my ‘stuff’ and helps me work through it despite myself. Now I just keep up with his podcast and blog and I feel like he is still my coach,” wrote Lisa. Still skeptical? Hop on a 15 minute call with me, it’s completely complimentary, and let’s see if we are a good fit. When clients develop a relationship, it doesn’t have to end when the online life coaching sessions do. Many of my past clients listen to my podcasts regularly, continuing to apply the exercises, meditations and advice to their everyday personal and professional lives. Personal life coaching comes in many forms, and for clients who are willing to self-reflect and get serious and committed to finding happiness and reaching goals, this could be the perfect fit. 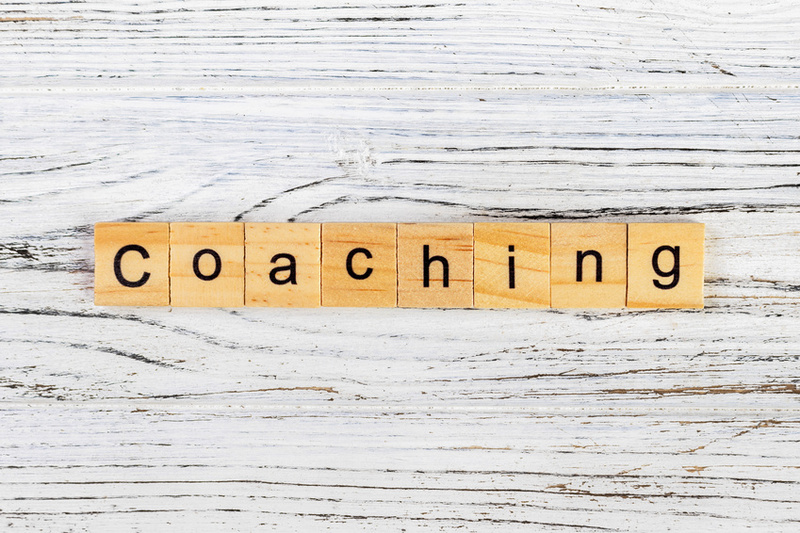 Whether you need a teacher, a counselor, a life coach, a listening ear, an atmosphere for non-judgement, or simply a coaching friend, I can help you. Together, we’ll set clear goals that will make you feel accountable and more motivated than ever. Your specific personality and mindset will always be taken into account as well as your lifestyle habits and anything else that could either be moving you forward or holding you back. Don’t have specific goals in mind? That’s perfectly okay — I can help you find the clarity you need to determine what exactly it is that you want to change about your life. I believe in listening with compassion and presence, giving each and every client the communicative platform they need to start to make a change and find long term success. Interested in learning more? Contact my team at MattOGradyCoaching.com today — I can’t wait to meet you!